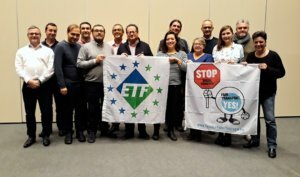 ETF believes that unions are most effective when working together across borders. Today for the first time the ETF Fisheries Section held a meeting of its Mediterranean Working Group. Affiliates from France, Italy and Spain will build common solutions to the challenges facing fishers based in all three countries and across the wider Mediterranean. The impact of resource management measures on jobs and the economy. Another aim of the Group is to ensure better coordination between the affiliates regarding the ETF’s involvement in the Mediterranean Advisory Council.